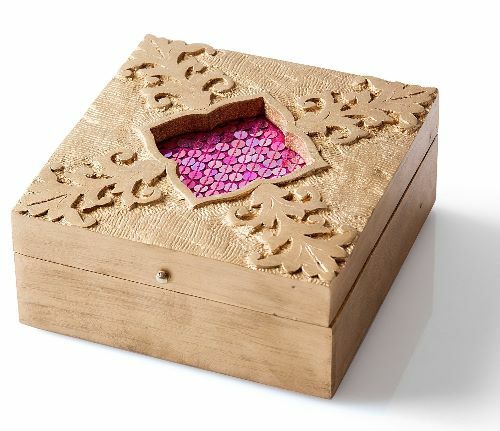 Jewelry boxes are available in many different sizes, shapes, colors, and designs. Its prices can also range from a few dollars to thousands of dollars. You literally have a lot of options to choose from when it comes to designs. Given that you have a lot of options, you might be confused about the what type of jewelry box do you really need. Let us help you discover more about jewelry boxes. 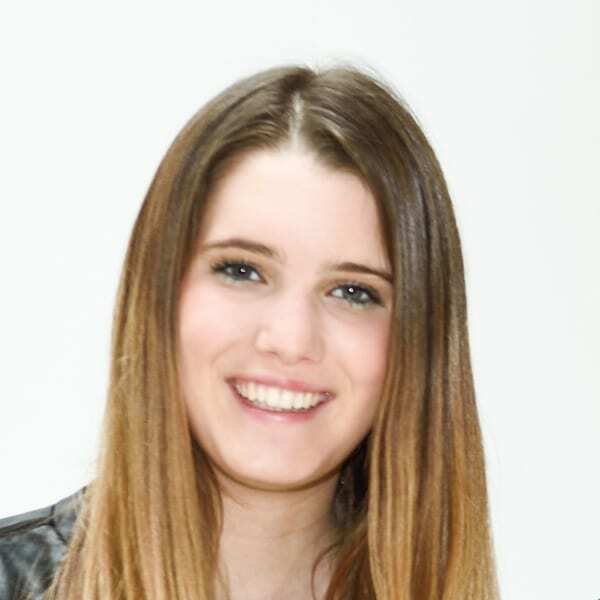 Here we will share a bit about the history of jewelry boxes, show our top picks for jewelry boxes, and discuss the different types and functions of jewelry boxes. 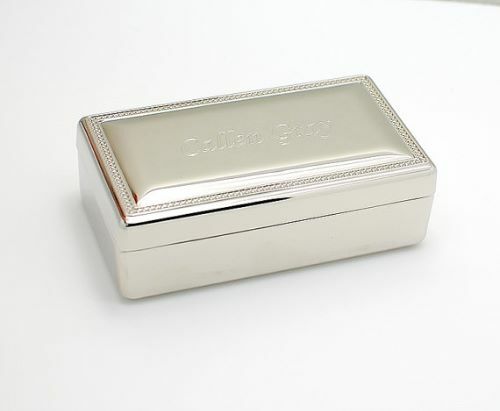 Whether you are needing to store a large collection of jewelry or just looking for a small box to keep you tiny valuables or maybe just needing a bracelet keeper, we are you sure you can find what you are looking for here. 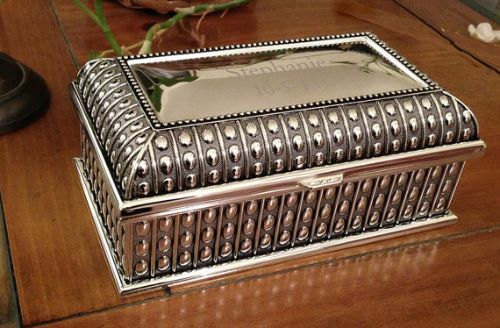 The origin of jewelry boxes can be traced for over centuries. In the old times, these boxes were considered as caskets. People would typically craft them from the finest and high-quality materials. They were once regarded as a symbol of wealth and luxury. Initially, jewelry boxes were created to contain significant documents, paperwork, jewelry, and treasure. The earlier version of jewelry boxes for men was also intended for document keeping they were relatively larger than the jewelry boxes we have now. Believe it or not, they are even comparable to small caskets and treasure chests. At the dawn of industrialization, comes the start of manufacturing smaller versions of jewelry boxes too. This also made jewelry boxes a lot cheaper than its larger version, thus making itself more available to the use of the common people. Since it became more affordable, more and more people bought and used it. It literally became part of every household. 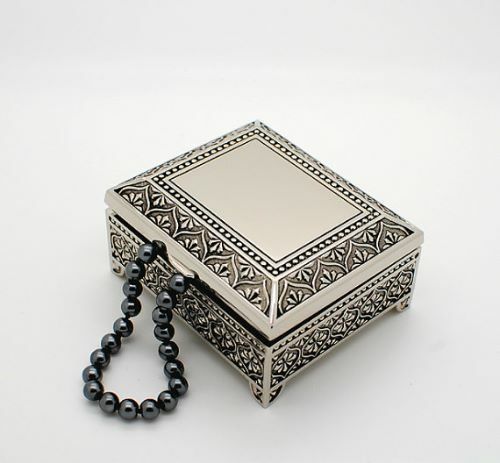 However, if you hope for something more unusual, you can always find vintage and antique jewelry boxes. 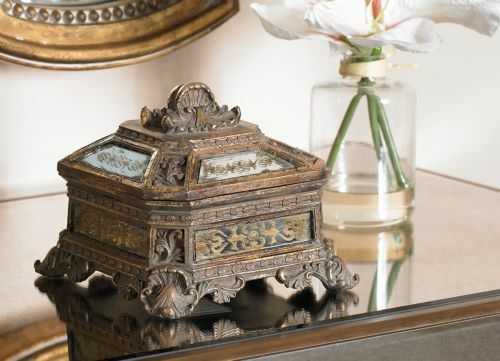 Check out our top pick for antique jewelry boxes below. 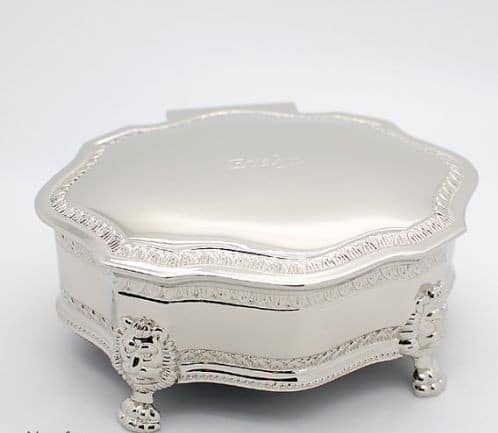 Before going through the process of searching for the best vintage and antique jewelry box, you need to know the different options to choose from. 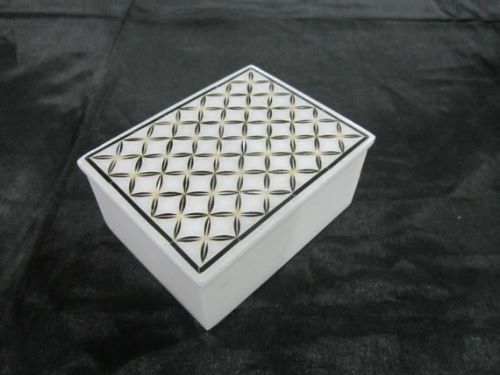 There are different kinds of jewelry boxes. 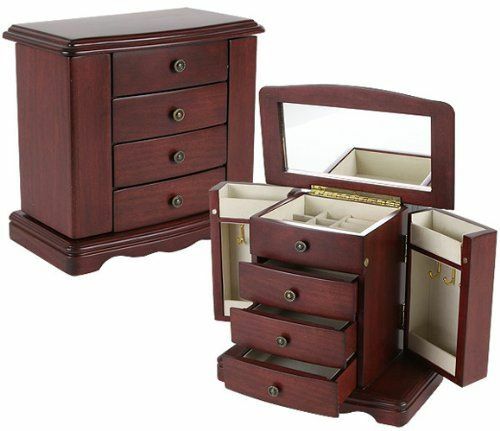 It is important that you get the right type of jewelry box that would match your needs. Some jewelry boxes are so large that is almost comparable to furniture. There are jewelry boxes that are intended to be hung on the wall. There are even jewelry boxes that are made for traveling. Whether you need a large or small jewelry box, the different types of these boxes should meet your needs and expectations. Not to mention, they come in elaborate and beautifully designed exterior. 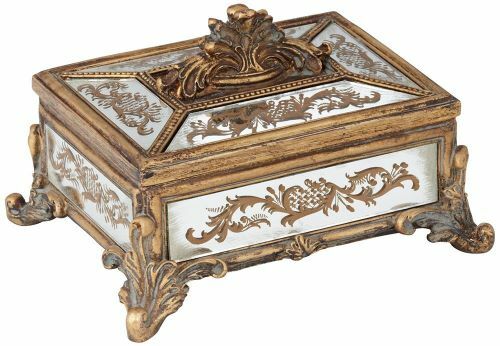 Check out the most common types of jewelry boxes available in the market today below. 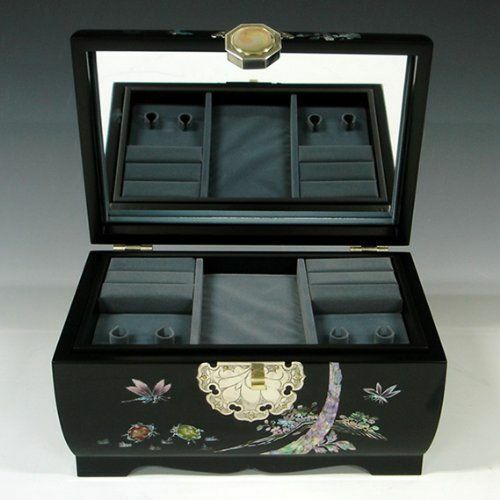 The most common type of jewelry box is usually small but beautifully designed. These jewelry boxes come in sizes that are small enough to be placed on the counter, table, or dresser. There are a plethora of options like this to buy online or at a store. They typically can be opened with their hinged top design. 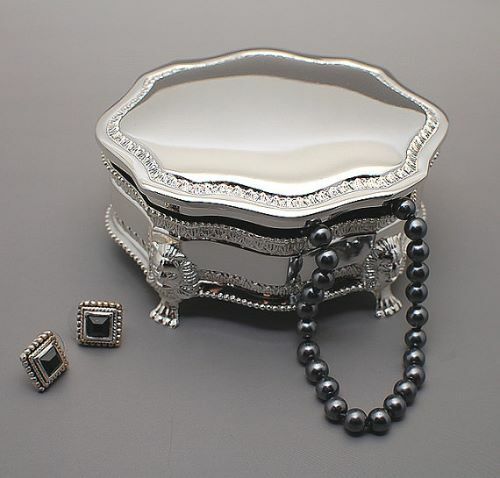 The inside or outside of this jewelry box may also feature additional trays, small drawers, and padded compartments. They can be used to keep some precious jewelry. They can function like a keepsake box. 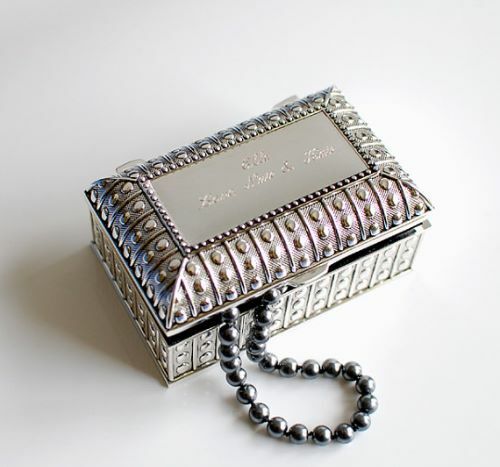 The music box is probably your favorite toy when you were young, especially for the jewelry-loving girls. Indeed, music boxes are a good example of a delightful vintage jewelry box. These musical jewelry boxes are typically built with a winding mechanism. These wind mechanisms are strategically and discreetly placed on the exterior of the box. This also allows the music box to play a tune every time someone opens the box. Manufacturers often use classical music that is soft and relaxing. Sometimes they also use lullabies. Music boxes come in different size and shapes. The affordable versions of music boxes are usually created with pressboards and cardboards. On the other hand, the expensive versions of music boxes are made from porcelain and wood. Since children love this creation, they are typically designed with paintings and cartoon characters. Armoires are another beautiful type of jewelry box that resembles home furniture but smaller in size. They can look like a miniature version of your clothing armoires. 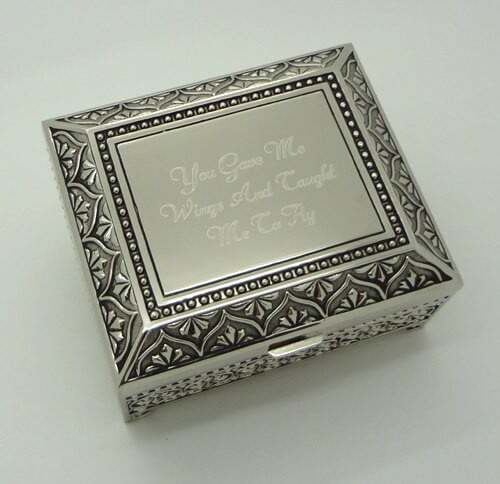 It is very different from the usual jewelry box design with conventional lift up lids. You will see typical furniture features like cabinets, doors, hooks, drawers, and a mirror. These cute boxes may be a miniature of the real thing but they can typically hold a larger collection of jewelry. There are armoires much bigger than other jewelry boxes but they can still be small enough to sit on top of a table or dresser. There are also versions that are made to stand alone which can be as high as 3 feet. 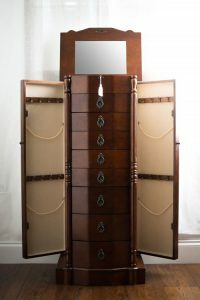 Since they are aimed to look exactly like your furniture, you will find most armoires made from polished wood. It is a lot easier to replicate the beauty and aesthetics of furniture with wood. 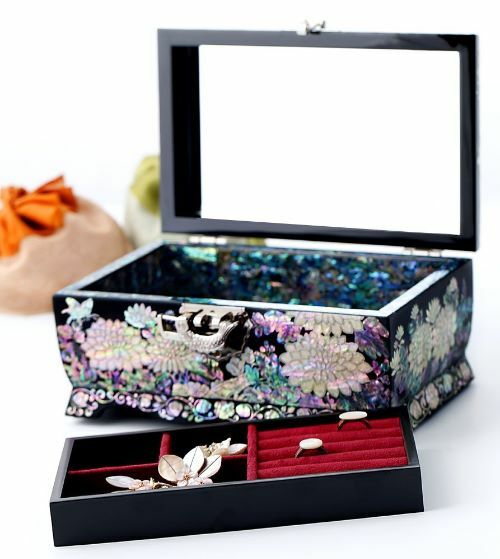 This type of jewelry box is recommended for people who are always traveling but want to bring some precious jewelry with them. We can describe them as a small luggage for accessories and jewelry. Jewelry cases or travel cases are typically lined with soft materials to ensure that the jewelry it contains is not damaged while traveling. As you know, the road to different places may be a little bit bumpy. These jewelry cases follow that same design as a large jewelry box but these cases are typically smaller. They may be made from leather. Some even add handles to these cases for portability. Vintage wooden boxes are one of the oldest types of the jewelry box. You may feel that wooden boxes would not be an ideal placed to keep you jewelry. 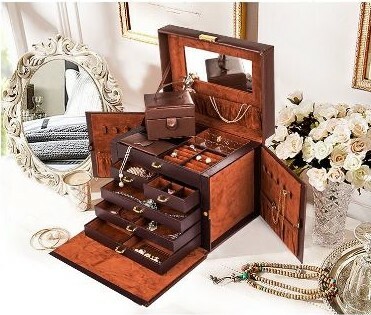 However, wooden boxes especially carved vintage wooden boxes actually make a beautiful jewelry box. Vintage wooden boxes are known for its aesthetics. Manufacturers typically use high-quality wood to make them. Often, they carve teak or other lightweight wood to create the wooden box. They also ensure that the wood used is highly polished. These boxes are crafted to look like a chest of a bedroom dresser. Aside from getting a wooden box with detailed carvings, you can also find wooden boxes that feature painted or stained designs. Although these boxes feature intricate carvings, it is still pretty easy to clean them. Watch boxes are crafted to store a watch collection as its name suggests. Most jewelry boxes are designed to contain jewelry like rings, earrings, bracelets, and necklaces, however, not all of them have space for watches. This is why this type of the jewelry box is created. Watch boxes are typically made of leather or wood. The interior of watch boxes is often softly lined with fabrics like silk or satin. These fabrics are used to ensure that the watch inside the box is protected from any damage like scratches or cracks. Watch boxes are typically designed with a glass top. 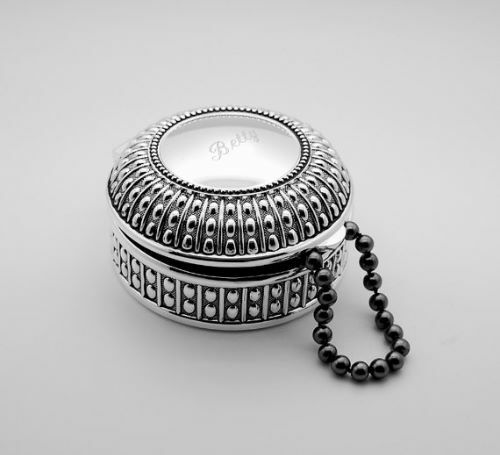 This allows any jewelry owner to easily see what is inside the box. It reduces the need to open boxes to know what is inside it. Watch boxes can complement larger jewelry boxes too. Technically, jewelry rolls are not designed like a normal jewelry box. However, it does serve us the same function like jewelry boxes; jewelry rolls store and protect our jewelry from any harm. Jewelry rolls can also be useful for storing trinkets. A jewelry roll is basically a long fabric pouch that can be rolled and unrolled. Jewelry rolls, as its name, suggests, can be rolled into a tight cylinder when closed. It can also be tied to ensure that jewelry inside are secured and protected. When it is opened, the jewelry roll lies plainly flat. They are often made with softly lined fabric. They can also feature many pockets and different sections in its body to ensure that different jewelry is protected from each other. Jewelry rolls are also ideal for traveling. They require little space in your luggage and they can protect your jewelry like any other heavy jewelry box can do. You can also simply used them at home to store a small collection of jewelry. If you are a jewelry enthusiast who has a large collection of beautiful rings, it may be better for you to get a ring box instead of a conventional jewelry box. This would allow your rings to have the proper space in your box. Some ring boxes can only contain one ring while other can contain as many as 20 rings. 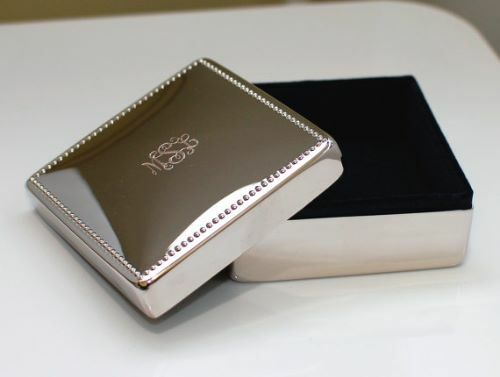 Ring boxes are smaller than your typical jewelry box but that is because they are only made to contain a specific number of rings safely and securely. Typically, the interior of ring boxes is crafted with rows of padding. These paddings are often lined with velvet. Amazingly, the velvet padding not only provides a comfortable space for the rings, their tiny bristles also polish and clean the rings when inserted or removed. There are also small slits in for the rings to sit. These paddings would allow you to place the rings inside the box and secure them in. This would also ensure that rings do not get to damage each other. 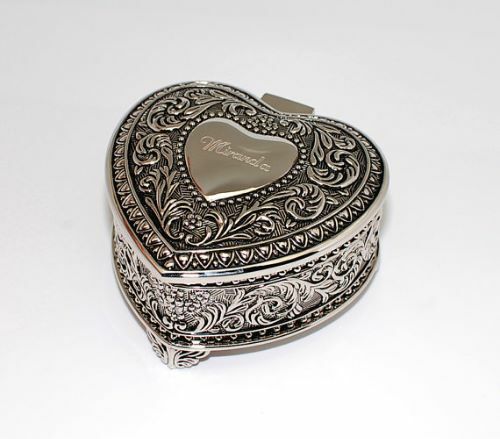 Trinket boxes also known as keepsake boxes can hold trinkets and little jewelry. 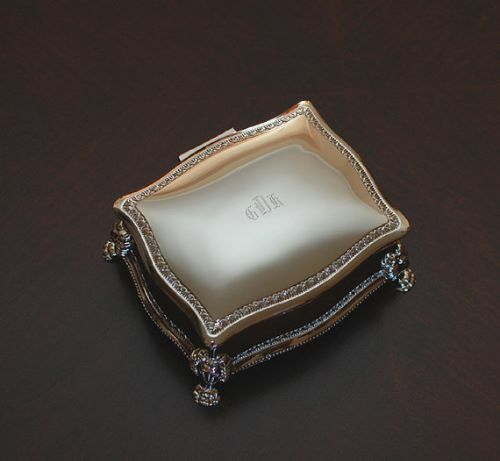 Trinket boxes may also store knick-knacks that are too small for a jewelry box. Knick-knacks tend to be lost on large jewelry boxes so it would always be better for them to be stored in a smaller box. You may also opt to keep other tiny sentimental items in a trinket box like souvenirs from a recent travel. They are considered as a small type of jewelry box. Trinket boxes’ lids are usually designed small figures of flowers, animals, and kids. If you are familiar with Kate Greenaway’s children illustrations, then that is great because most trinket boxes feature her illustrations as a design. If you think jewelry boxes are too girly for a man like you, well, worry no more because valet boxes are specifically designed to cater to the needs of a man. Valet boxes are designed specifically for men’s jewelry. These boxes are often small. They are also less ornate than jewelry boxes for women. Valet boxes may store you rings, necklaces, bracelets, watches, cufflinks, and other jewelry for men and women. Most valet boxes are crafted with dark leather. Basically, these boxes feature a more rugged and masculine look. Wall jewelry boxes are comparable to medicine cabinets. This jewelry box is crafted to hang on the wall. It features hooks perfect for your bracelets and necklaces. It also features a mirror at an eye level to make it is easier to fit jewelry and decide which one to wear. Jewelry boxes are not just a beautiful addition to our cozy room. 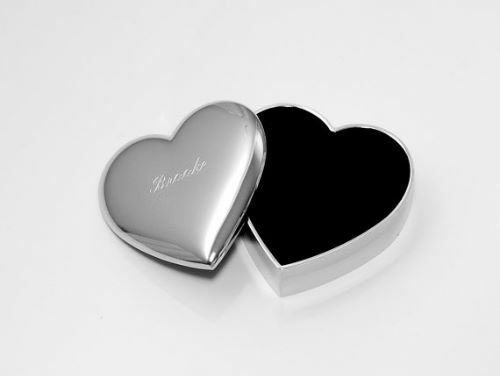 They are also a fun and decorative way to store and protect the most important jewelry in our life. 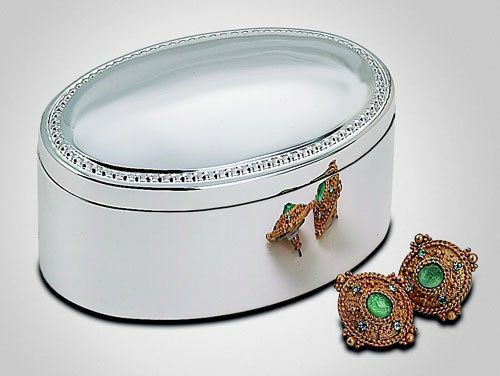 Whichever type of jewelry box you choose to keep you valuables, you would surely enjoy the comfort, beauty, and protection it will give to your jewelry. They are a great way to express your personality, taste, and individuality.